Happy 2016! A new year means new reading goals. I scored a lot of great books during the holiday (thanks, Santa!) and am looking forward to digging into them. But first, time to set some goals. Last year, I participated in the Goodreads challenge, setting my goal at 24 books. That was low-ball challenge, so this year, I’m aiming for 48 books. 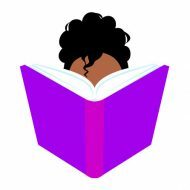 Additionally, this year, I want the majority of the books I read this year to be written by black women. 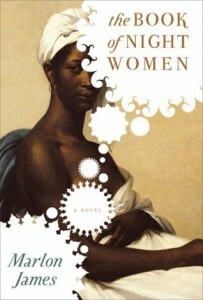 To be specific, at least 50 percent of the books I read have to be written by black female author of any nationality. The characters of their works aren’t as important, but I do hope to read books featuring more characters of color. I made a “no YA” rule a while back, but I’m breaking it to read this book, which has been promoted as Speak meets Black Swan. I’ve recently taken up ballet, and (despite a persistent knee pain) really love it. YA or not, I can’t pass up a ballet book featuring a dancer of color. I can already tell this book will be a hard read. 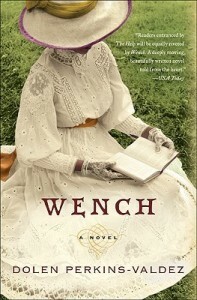 The story centers on four slave women who are “vacationing” with their white masters in the free state of Ohio. Tensions between the women rise when a newcomer brings up the idea of escaping to freedom. I mentioned this book before when it was nominated for a National Book Award. This past November, I also got to briefly speak with Flournoy (very, very briefly) at Book Riot Live. The signs are clear; I have to read this book. 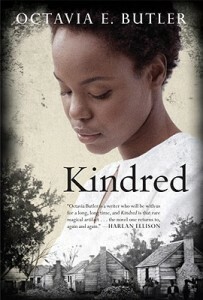 Written by the black queen of speculative fiction, Kindred tells the story of a modern-day black woman who gets transported back in time to the antebellum South. I’m legit afraid of reading this one. I’ve developed an aversion to slave fiction as of late and am afraid of what type of trauma I’ll find in this book. Embarrassing confession time: I’ve never read Beloved … or any of Morrison’s other novels. If I don’t go about fixing that now, my Black Girl Reader Card will be revoked. I love romance and I love Ms. Jenkins. From what I’ve heard, Indigo is her most well-known work and it’s about time I’ve checked it out. When I was at Book Riot Live!, Jenkins shared how the book came about after hearing of a man who sold himself into slavery for the love of a woman. Damn. That’s a love story. The patron saint of black girl journalists everywhere, Ida B. Wells led a national crusade to end the lynchings of African-Americans at the turn of the century. I fully expect to find some parallels between her work in the late 18oo’s and the #BlackLivesMatter movement today. James wrote this book about a young woman born into slavery five years before writing his Man Booker-winning title A Brief History of Seven Killings. I also have to admit that I definitely judged this book by its cover. This painting, Portrait d’une négresse by Marie-Guillemine Benoist, hung in my grandmother’s living room for nearly two decades. The more I learn about Freddy D., the more intrigued I am. I’ve had a copy of his narrative for years and just haven’t gotten around to reading it yet. I hope to fix that in 2016. Also, it should be noted that Frederick Douglass was bae back in the day. What do you think of my TBR list? What are you hoping to read in the upcoming year? Let me know in the comments.